Thief. 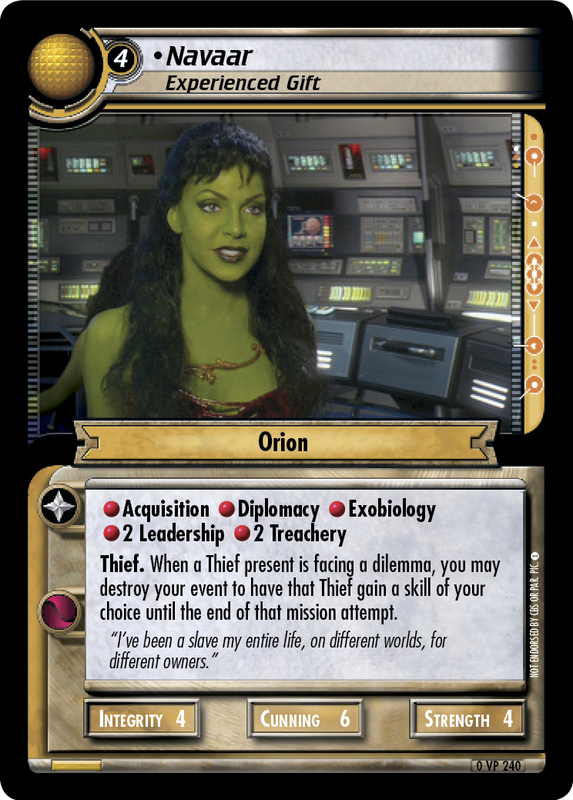 When a Thief present is facing a dilemma, you may destroy your event to have that Thief gain a skill of your choice until the end of that mission attempt. "I was wondering when you were going to come see me. After all, I've been your property for two days." 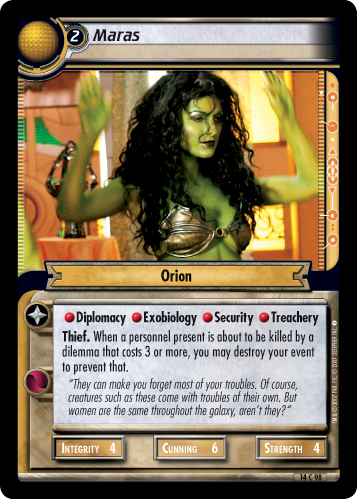 Errata'd on 2015-07-20: The Orion Slave Girls have been errata'd to work with Thieves only, and to the end of the mission attempt. Navaar particularly was an issue with easy to gain dial-a-skill ability, useable in decks that should have limited access to such abilities.